Shift Media recently completed work on a very important project titled “Heel the Heroes”. This project is a fundraising website focused on raising money to help our veterans. The donations focused web design displays a patriotic design aesthetic while still maintaining a clear focus on the Heel the Heroes message. 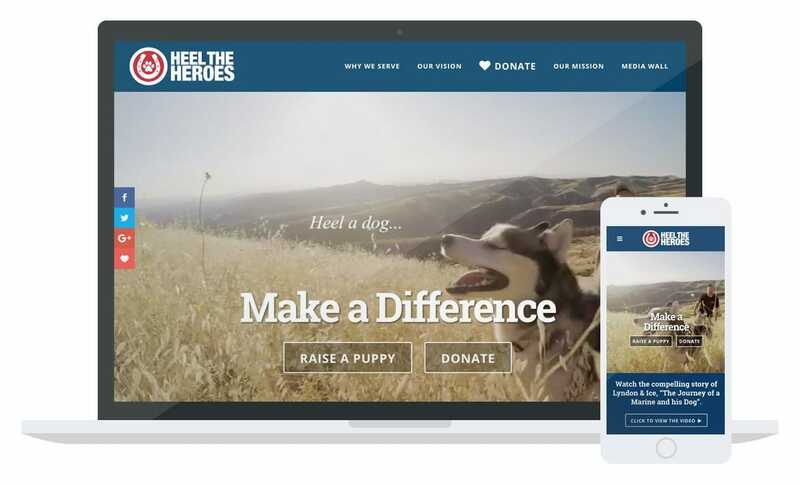 This custom WordPress website incorporates a donations feature to allow supporters to easily provide financial assistance to the Heel the Heroes organization. Another feature to note is the integration of Lyndon R. Villone’s (the organizations founder) video clip presented front and center on the homepage of the website. Additionally we designed an iconic logo for Heel the Heroes to allow them to effectively promote their brand.